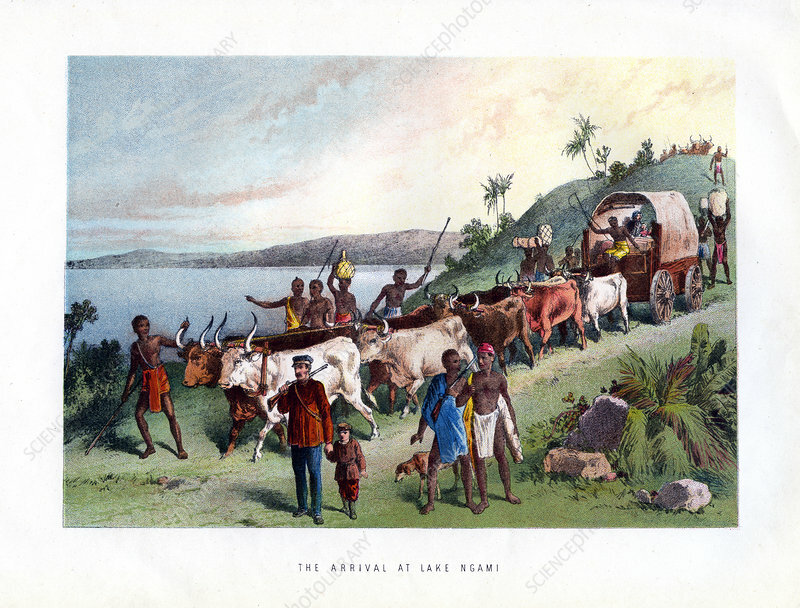 The Arrival at Lake Ngami', 19th century. Lake Ngami is a lake in Botswana north of the Kalahari Desert. It is seasonally filled by the Okavango River, via the Okavango Delta. English missionary and explorer David Livingstone (1813-1873) first saw the lake in 1849, describing it as a shimmering lake, some 80 miles long.